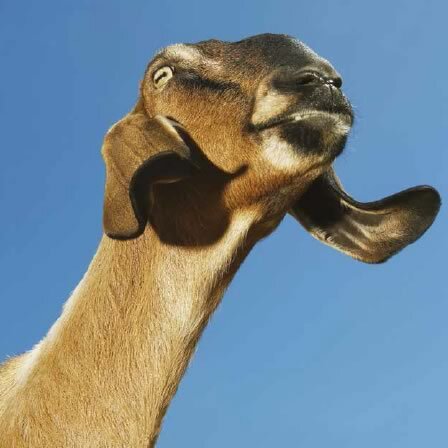 One of the heaviest and tallest breed of goat, Anglo-Nubians are legendary for their milk. Compared to other breeds, the milk is high in both butterfat and protein, making it a favourite for drinking (even amongst those who don’t normally like goat’s milk!) as well as the perfect milk for cheese-making. The breed was originally developed in the UK using milking stock from the Middle East and North Africa. They are distinguished by their large pendulous ears and their ‘Roman’ nose.